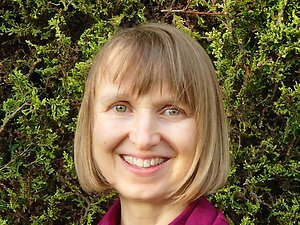 I am a fully qualified and insured member of the Association of Reflexologists and run a practice just outside of Oxford in Wootton and Dry Sandford. I specialise in treating women and children. I'm on the no. 4 bus route between Oxford and Abingdon, easily accessible from Boars Hill and Botley, and there is plenty of free parking. I'm not a medical doctor, so I can't diagnose or offer medical advice. I have a background in stress research and work alongside traditional medicine to support your well-being. I work gently over the reflex points, which makes the treatment very relaxing. Overall, I will work with you to create a bespoke treatment plan, treating you holistically, rather than as a collection of symptoms. A reflexologist treats the whole body by working on reflex points on the feet, face, or hands, inducing a state of deep relaxation to aid well-being. Bringing Zone Face Lift™ to Oxford and Abingdon: As well as being a traditional foot and hand reflexologist, I've trained with London's Ziggie Bergman in facial reflexology, which is wonderfully relaxing, and the 'Bergman Method' Zone Face Lift - a full facial reflexology treatment with additional beautifying effects. See my Zone Face Lift page for more information about the benefits of Zone Face Lift. "I have had wonderful foot and face reflexology treatments with Emily. Her sessions are incredibly relaxing and helpful on both a physical and emotional level. Emily is a beautiful person and incredibly considerate, sensitive and knowledgeable. I would recommend her services to anyone. " Mary, Oxford. This short clip, from the Association of Reflexologists, tells you a little more about reflexology. The interactive foot and hand maps, mentioned in the clip, are available at the end of my 'About Reflexology' web page. Gozuyesil, E., Baser, M. (2016). The effect of foot reflexology applied to women aged between 40 and 60 on vasomotor complaints and quality of life. Complementary Therapies in Clinical Practice. Volume 24, August 2016, Pages 78-85. Asltoghiria, M., & Ghodsib, Z. (2012). The effects of Reflexology on sleep disorder in menopausal women. Procedia - Social and Behavioral Sciences, 31, 242 – 246. Yılar Erkek, Z. & Aktas, S. (2018). The Effect of Foot Reflexology on the Anxiety Levels of Women in Labor. The Journal of Alternative and Complementary Medicine, Vol. 24, No. 4. Chandrababu R, Rathinasamy, E.L, Suresh, & C, Ramesh, J. (2018). Effectiveness of reflexology on anxiety of patients undergoing cardiovascular interventional procedures: A systematic review and meta-analysis of randomized controlled trials. Journal of Advanced Nursing, 14 August 2018.